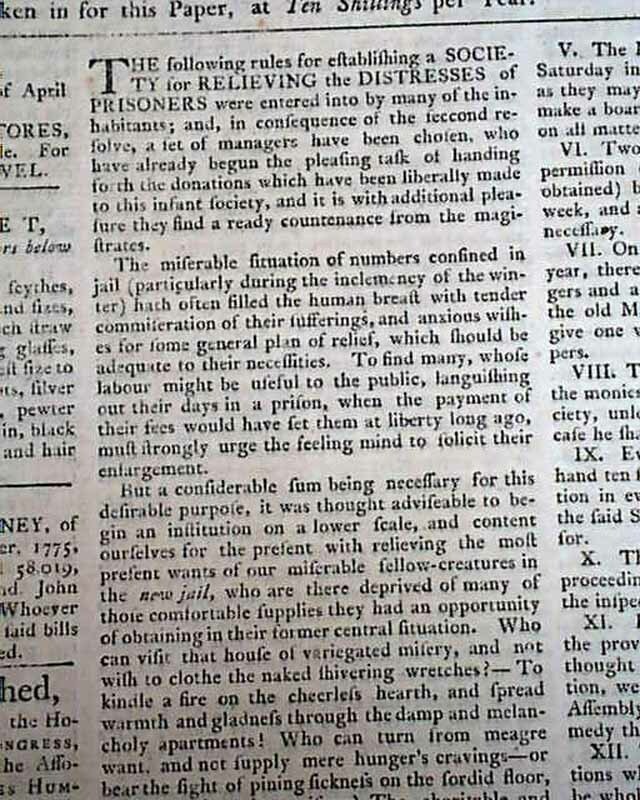 Over half of the front page is taken up with: "The following rules for establishing a Society for Relieving the Distresses of Prisoners...". 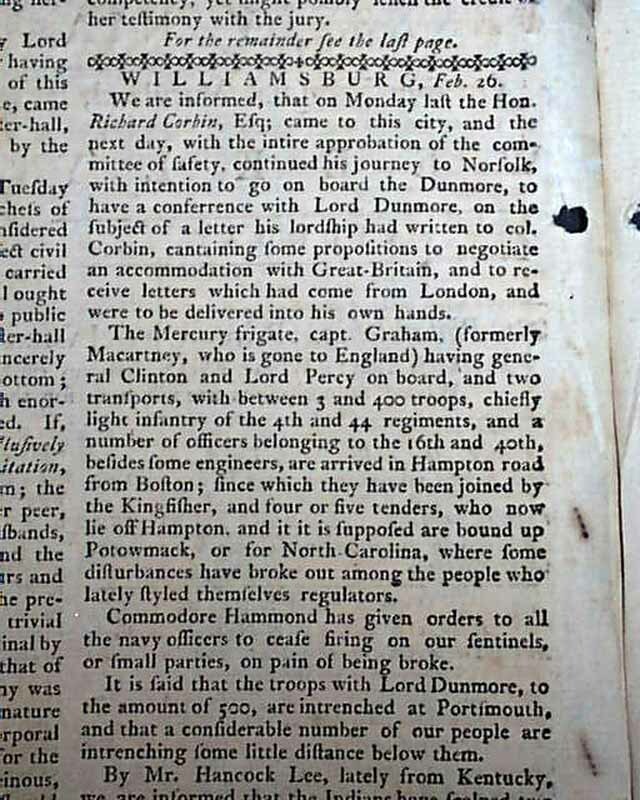 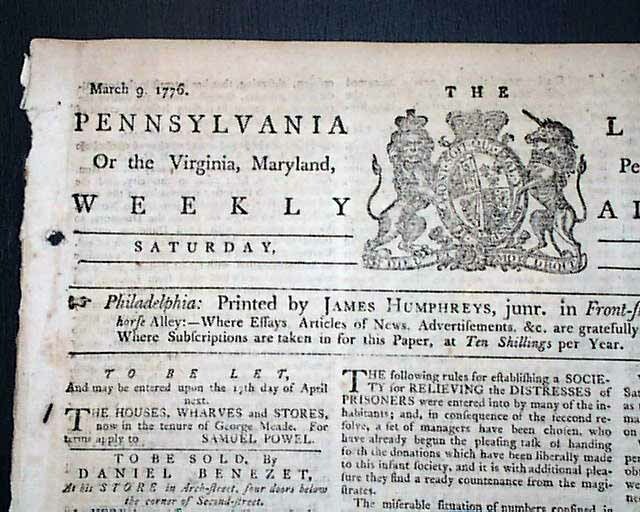 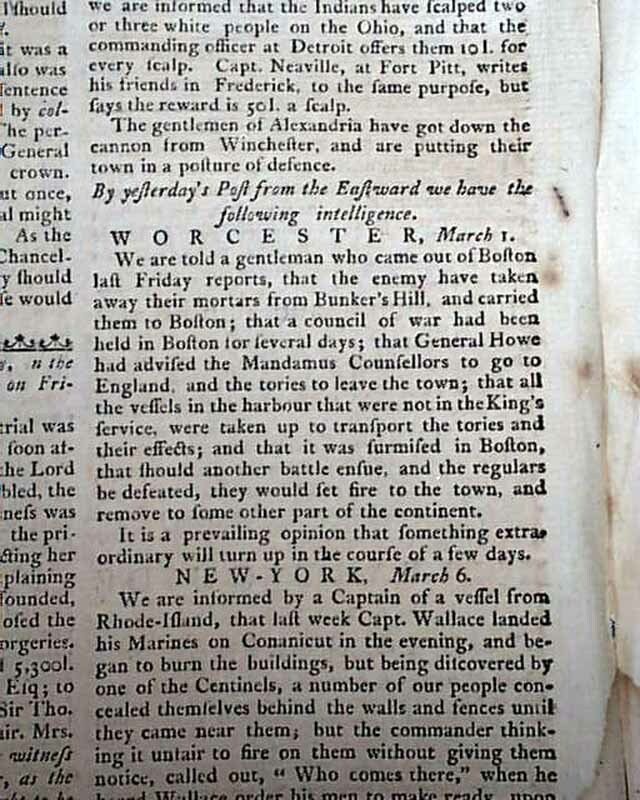 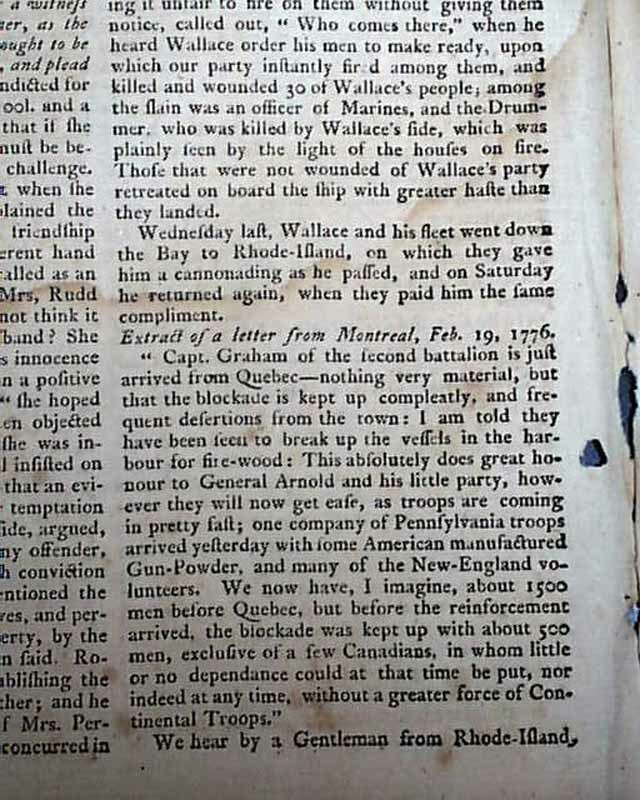 Page 2 has reports from Williamsburg, Worcester, New York, and Montreal with the latest reports concerning the Revolutionary War (see). 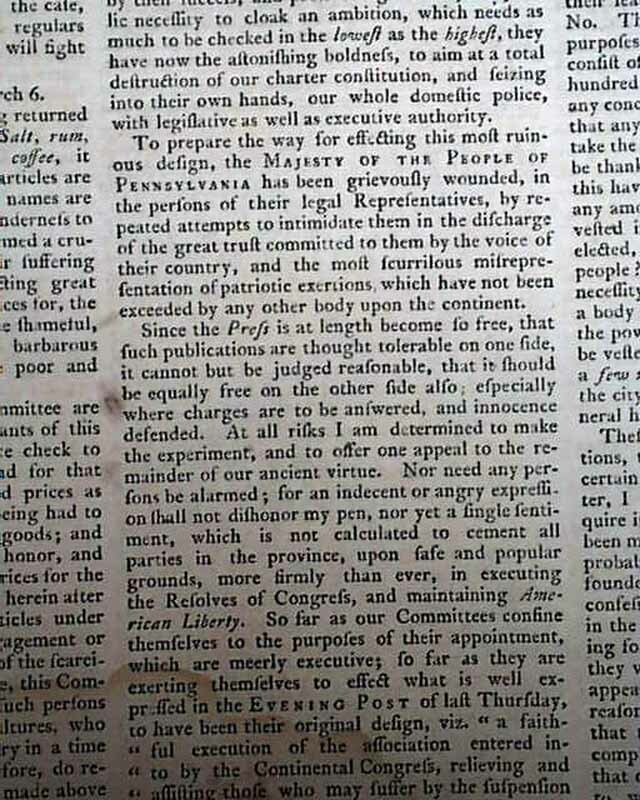 Over half of page 3 is taken up with a very lengthy work: "To the People of Pennsylvania, Letter I" signed in type: Cato. 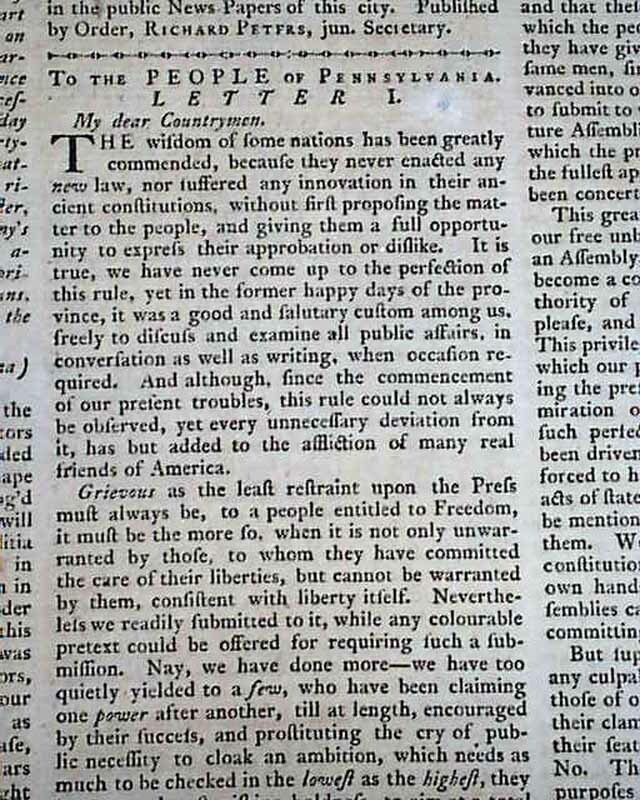 It begins: "The wisdom of some nations has been greatly commended because they never enacted any new law...without first proposing the matter to the people & giving them a full opportunity to express their approbation or dislike..." which continues with much concerning freedom of the press. 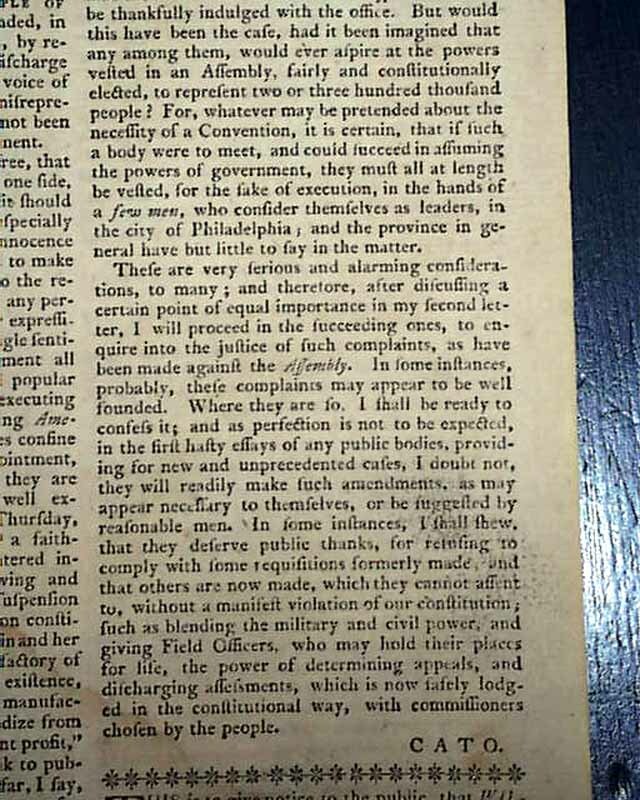 Cato was the famous 1776 critic of Thomas Paine's pamphlet titled Common Sense, and who wrote this series of essays arguing against American independence. 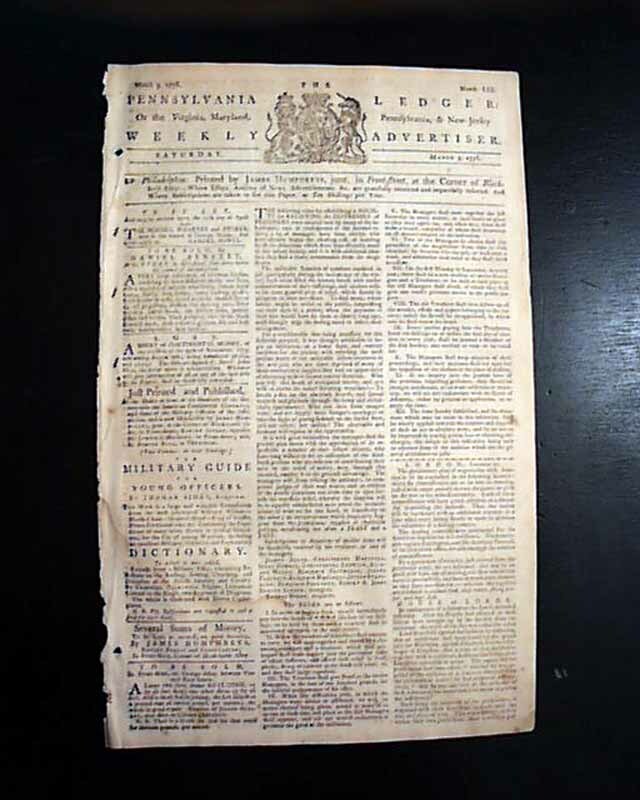 Four pages, Royal coat-of-arms engraving in the masthead, light damp stain at the bottom, numeric notations in margins next to ads (this was the editor's copy), nice condition.